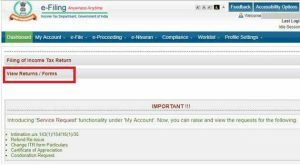 DIR-3 KYC Filing Date Extended – How to file the form? 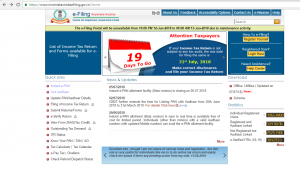 The government has extended due date of filing DIR-3 KYC without any late fee till 15th September. 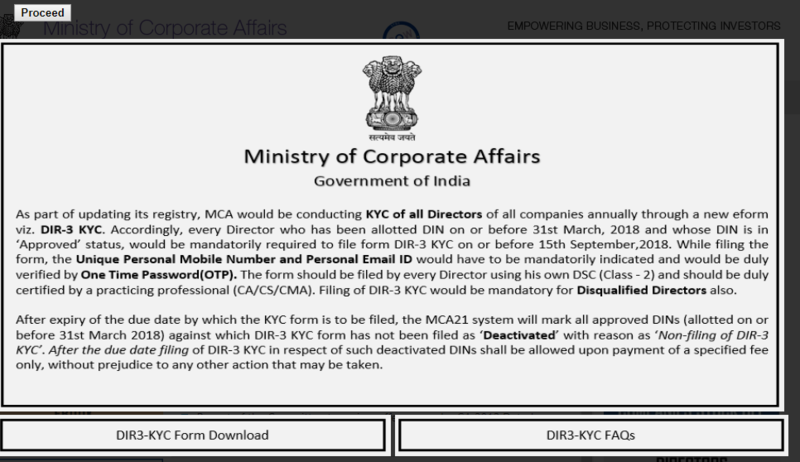 As a part of updating the registry, the Ministry of Corporate Affairs as is conducting KYC of all Directors of all companies annually through DIR-3 KYC form. This form is compulsorily required to be filed by every director who has been allotted a Director Identification Number on or before 31st March of a financial year and whose DIN is in Approved status. It is mandatory for Disqualified directors also. Late filing after 15th September would attract the penalty of RS 5000. There are no filing Fees for DIR-3 KYC within the due date of the respective financial year, however, if the form is filed after the due date, a fee of Rs.5000 shall be payable and in addition, the DIN of the director will be deactivated with the reason shown as Non-filing of DIR-3 KYC. In future, if the director is looking to re-activate his DIN, the same can be done after paying a late fee of Rs 5000. The following documents are required to file DIR 3 KYC e-form. It is necessary to ensure the correctness of all the required documents. Self Attested Aadhar Card or any one of the following: Passport, Election (Voter Identity) Card, Ration Card, Driving License, Electricity bill, Telephone bill. Permanent residential address of the individual. Unique Mobile No and E-Mail ID and OTP will be required from the same. It is mandatory to get the form attested by a practicing company secretary, chartered accountant or cost accountant. Step 1: Download the form from the MCA website. Step 2: The KYC should have the DIN which should be approved. Once you click the “DIR-3 KYC Form Download, a Zip folder would be downloaded with two PDF. One would be a help PDF and other would be the form. Step 3: Enter your relevant personal details such as nationality, age, name, address, PAN number, contact details, etc. But the following points should be considered while submitting personal details. b) The person should be at least 18 years old to file the application. c) The PAN should be verified and the one given in the form should match the one given in the DSC. d) Foreign nationals who serve as company directors should select nationality as declared in the passport. Step 4: Upload all the necessary documents as mentioned above. Before uploading, make sure all the documents are attested by the respective authority. Step 5: Thoroughly proofread all the details and click on the submit button for submitting the form. Once the eForm DIR-3 KYC is submitted, the user would get a service request number. Through this SRN, one can check the approval status of the transaction and can use it for future correspondence with the MCA. Also, an email will be received by the applicant regarding the approval of the receipt of the form. 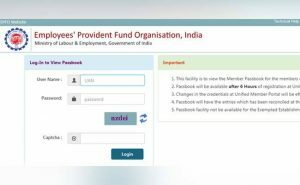 Under the new rule Employee Provident Fund Organization has given green signal to the employees to withdraw 75% of the fund corpus, one month after the unemployment. The 75% of the total amount in the EPFO account can be withdrawn as advance according to the authorities. An individual is eligible for the pension on his EPFO account if the account is active for 10 years. However, after losing the job, the common trend is to close the account after two months and in that case an Individual loses the provision of pension. To make sure that the account remains active even after the person is out of job, 75% of the corpus can be withdrawn. There is a set procedure allowing an individual to draw the corpus. Here are the steps. Step 2 – Click online services on the top menu bar and select ‘Claim (Form-31, 19 & 10C)’ from the drop-down menu. Step 3 – The following page will have Member details, KYC details and service details. Click the tab ‘Proceed for online claim’. Step 4 – Once, you are redirected to the claim section, there would be more details such as PAN number, UAN, mobile number and so on. You need to select the type of claim-withdraw PF only or withdraw pension only. Step 5 – You would need to fill the claim and upon the completion, the OTP would be sent to the registered mobile number. The OTP should be entered in the form to initiate the claim. Once the claim form is submitted, an intimation through the message would be sent on the registered mobile number. After the claim is processed, the amount would be transferred to the bank account. If you are just looking to check the balance of EPFO before deciding on withdrawing the fund, then there are three ways in which you can do it. An SMS should be sent to 7738299899 with message EPFOHO UAN ENG. ENG implies that preferred language is English. The other languages are – Hindi, Gujrati, Punjabi, Marathi, Kannada, Tamil, Bengali, Malyalam, Telugu. Download the app and click on ‘Member’ and then on ‘Balance/Passbook. On entering the details, the system would match the details and when matched, the EPF details can be viewed. Employee Provident Fund is one of the biggest benefits that the companies offer us to ensure that we part ways with a little portion of the salary and save it in Provident Fund which becomes a huge corpus and serves us after retirement. 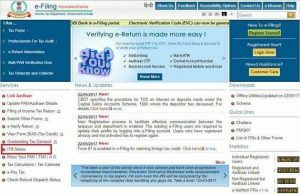 However, not everyone knows that all the EPF functionalities have now been made available online and everything from withdrawing the fund to checking the passbook online has become easier. Step 1 – Go to the EPFO website epfindia.gov.in. Click on e-Passbook towards the right. 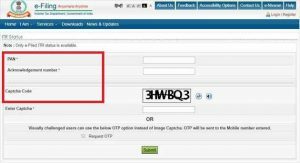 There would be prompt to enter the UAN number, password and captcha code. Unique Account Number is important as it is inclusive of all the IDs provided to an individual by different firm. 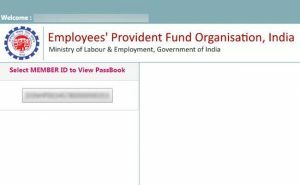 Step 2 – Click on the member-id to view the e-passbook and know the Employee Provident Fund balance. Over time it has become more convenient to know the balance of the Employee Provident Fund account as the employees can now get to know the balance through a missed call. Subscribers who have registered UAN portal can dial 011-22901406 from their registered mobile number. However the pre-requisite for getting the balance on the phone is that the number must be activated with UAN at the official website of EPFO. Also, if the subscriber is looking to receive details about the last contribution and PF balance, the UAN must be linked with any one of the bank account numbers, Aadhaar and permanent account numbers (PAN) This service is available for free. If you want to get the SMS in any other language other than default English, first three characters of the preferred language should be added after UAN. For instance, to get the message in Tamil, the message should be “EPFOHO UAN TAM” to 7738299899. Apart from the above three methods, it is also possible to check the balance through Umang app by clicking on EPFO. Members would land on the page of employee centric services, employer centric services, general services, Jeevan Praman, eKYC services. Tap on the ‘employee centric services and would transfer you to the page that enables passbook view and raise and track claim. Employees should always track the contribution made by the employer and the latest balance. In the past, there have been scandals where the employers deduct the amount from salary but do not deposit it to the account, therefore employee bearing the tax burden. Just last year, the income tax department deactivated the PAN of those who were allotted more than one PAN at a time. Every Individual is allotted just one pan card and having more than that is illegal therefore leading to Pan Deactivation. Therefore, the drive which was conducted by income tax department last year swept of over 11 lakh Pan cards. However, most the individuals had hardly any idea of such a massive campaign going on across the nation and they got to know only at the time of starting the process of ITR. 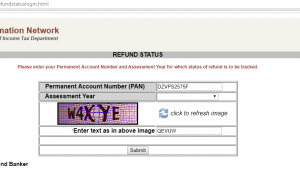 To know whether the Pan Deactivation has affected you also, first the status should be checked. In order to know if the PAN you have been using to file the ITR is blocked, there are certain steps to be followed. Step 2- Enter Surname, Name, DOB and other information asked along with the Mobile Number. After doing so, you would get OTP on the registered mobile. Step 3- Result Page would display the PAN and jurisdictional officer address along with active or inactive status. Pan Deactivation – How To Reactivate? First of all the individual whose Pan has been deactivated needs to write a letter addressed to their jurisdiction AO in the Income Tax Department asking to reactivate the Pan. Copy of the Pan which has been used to file the income tax returns regularly. Copies of Income tax return filed by the assessee over the past three years using the blocked PAN card. Once, the request has been sent, it would take somewhere around 10-15 business days for the Income Tax department to reactivate the blocked PAN. In case you have an additional PAN Card, now is the time to surrender before the Pan Deactivation drive kicks, the procedure of which is quite simple. Step 2- Select Pan Correct option from the Application type dropdown. Step 6- The next page would appear where you would need to upload the scanned images, signature and other documents. Step 8 – Acknowledgement Window – Make sure to save the window for the future references. MCA has underwent drastic changes post recent development which has taken place recently. The way of working of MCA and Incorporation has underwent drastic changes in terms of approval of name availability, e-forms for MOA and AOA. The ease of doing business in India has really ranked up across globe. As part of its continuous efforts for simplifying Incorporation related process for providing Ease of Doing Business to stakeholders, MCA will be dispensing with the requirement of separately uploading Forms 49 A& 49B after filing SPICe e-forms. Accordingly, With effect from 6PM of 4th November 2017, stakeholders will NOT be required to upload signed 49A/49B using “Submit application for PAN/TAN” service, in respect of any fresh SPICe submission or Re submission cases. PAN and TAN will continue to be issued as before based on the details submitted in the SPICe form itself. Most of us have issue with changing or applying for new pan using existing address and DOB proof. Name given in ID proof and address proof should be same and should be expanded. If the name is in Initial in proof either in ID proof or Address proof , it will not be accepted as proof. So even if you apply online and submit such documents PAN will not be issued. And you will be asked to get some proof where name should be expanded. In such case letter from Gazetted officer on their letterhead with seal and sign stating name, full address and DOB will act as Valid ID and Address proof. Many of us would be looking for such fill able format. I here with enclosing such format in fill able PDF for download and use. Now there is a big waiting for pan .. thanks to Demonetization drive and new debit and credit limit on savings accounts without pan. If you send documents in wrong format you will end up waiting for months together to response as your documents sent for pan applications are not in order. Make sure pan applicant name has to be expanded and same will apply for both ID and address proof. If any one proof lacks the expansion of last name you need to produce above mentioned letter in original along with application form. There is one provision to apply for pan using Aadhar but name if not expanded it will not accept for e-sign. You have to manually submit the pan application. For e-sign you should have valid mobile number mapped in aadhar.